Well, it’s about damn time right! Today I’m showcasing 11 of the most popular men’s fossil watches. I’ve loved the fossil range for some time now but have to admit I do only have one in my collection at the moment. However, I am definitely eyeing up watch number 2 in today’s list. First up in our list of the best Fossil watches for men is this popular stylish looking timepiece. The fossil Grant chronograph has a clear looking cream diam with these stand out Roman numeral hour markers. The watch has a chronogrpah feature along with a Japanese quartz movement and 50m water resistance rating. 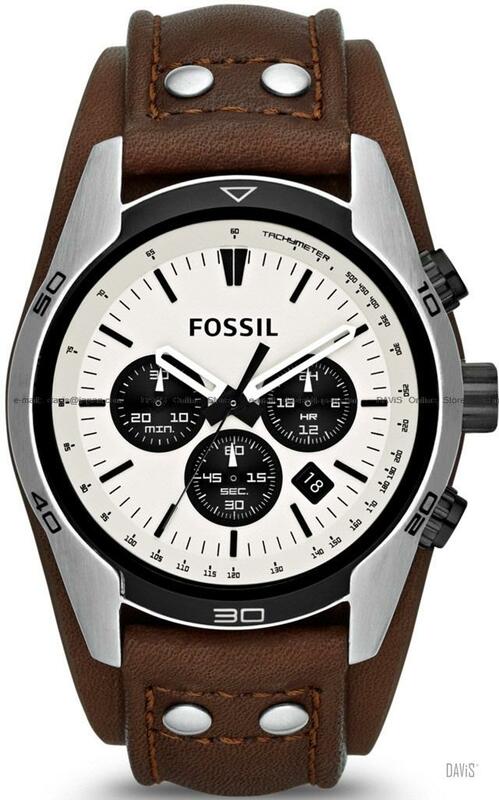 This next Fossil Grant chronograph is one of my favourite Fossil watches on this list. It’s a colour variant of the previous watch so features the same stand out Roman numerals and chronograph timekeeping. But the main thing I love is how the PVD rose gold plating compliments the blue leather strap and the dial, it just looks awesome. The watch also functions using a Japanese quartz movement and has a 50m water resistance rating. 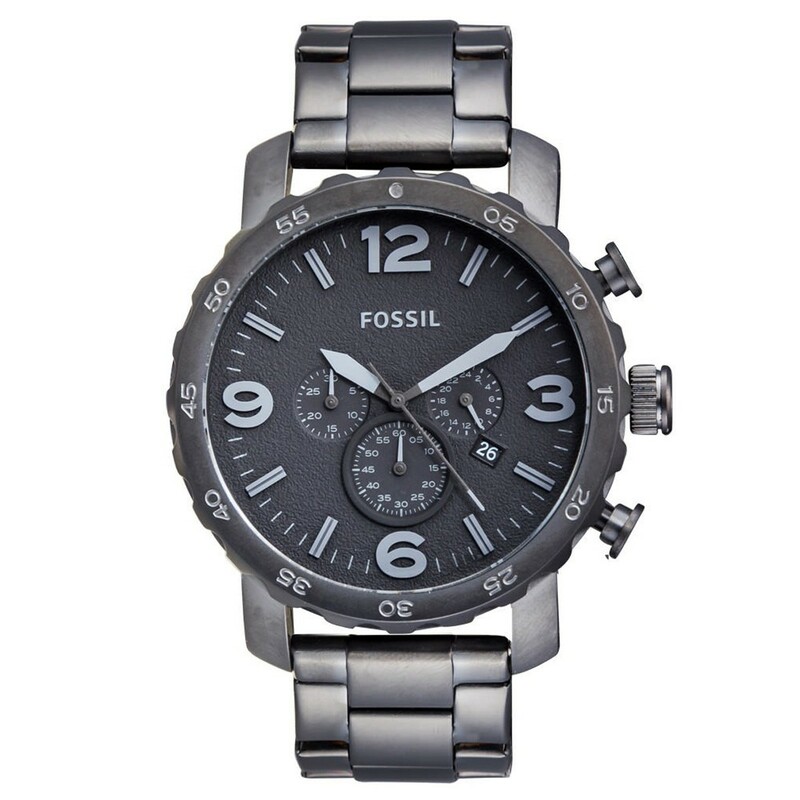 The JR1401 or Fossil Nate as it’s known is a popular oversized Fossil watch. It has a 50mm casing diameter with a 15mm thickness making is a sizeable watch that’s bound to get noticed on your wrist. I like the black Ion-plated finish to it and the chunky bezel too. The dial has these large combination hour markers in a stand out black along with a handy date function. It’s also powered by a Japanese quartz movement and has a 50m water resistance rating. 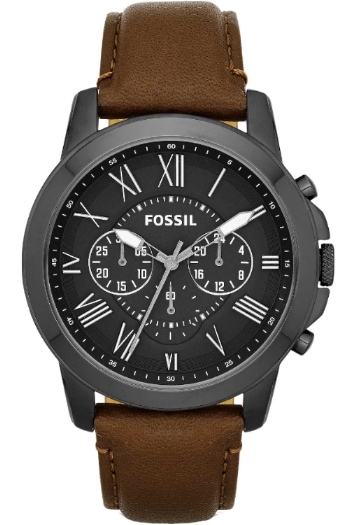 Another best seller is the Fossil Decker chronograph. The Fossil Decker features a large 45mm casing with a multi dial clock face and chronograph functions. I like the smart finish to this one, the hands are high visibility making them really easy to see as they stand out from the black of the dial. The watch has a tachymetre, date display, and a 100m water resistance rating. Like the other Fossil watches it works on a Japanese quartz movement. 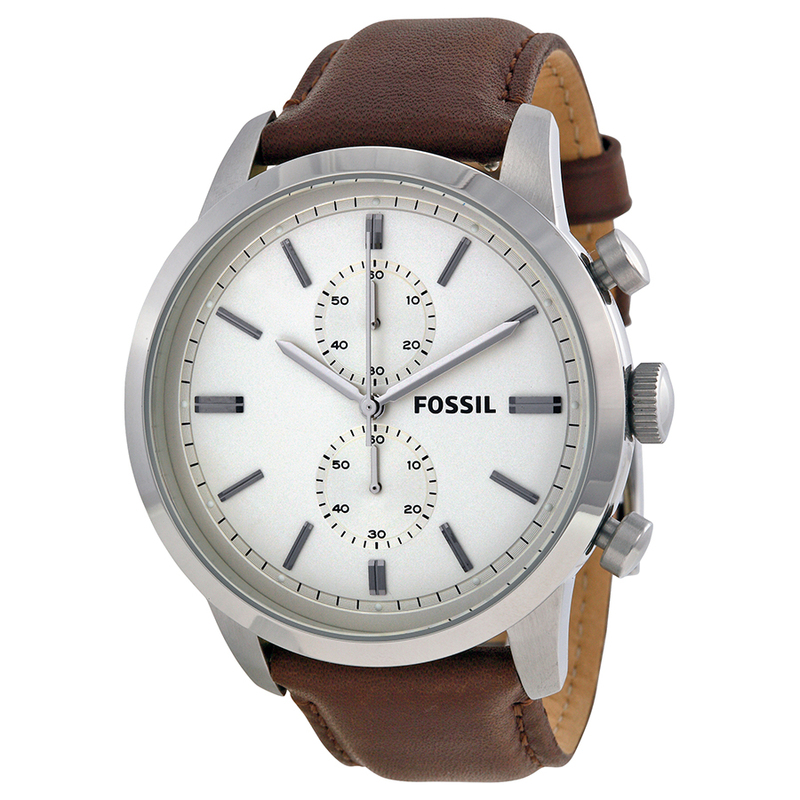 This leather strapped Fossil watch is also part of the Fossil Grant collection. It’s a chronograph watch with a black ion plated steel and genuine soft leather strap. The large round dial features these high visibility watch hands and showcases the chronograph functions. This model has a 50m water resistance rating and a Japanese quartz movement. This next popular model is from the Coachman collection by Fossil. It has a sizeable 45mm round case with a nice white dial. The watch feel very sturdy on the wrist due to the large genuine leather cuff strap that hugs itself close to your arm. Like the previous models the dial has this high visibility set up making the watch easy to read. It has a impressive 100m water resistance rating and is powered by a Japanese quartz movement. 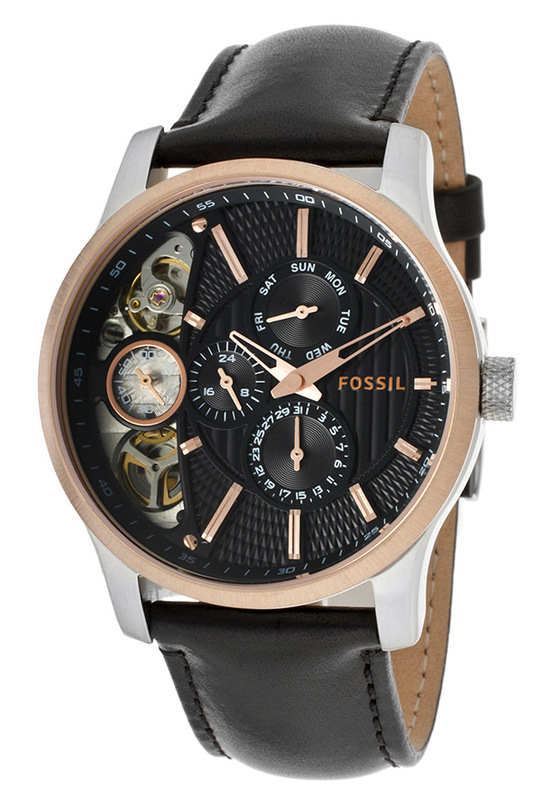 Next up we have the attractive looking Fossil Machine watch. It has a gunmetal Ion-plated stainless steel casing with a large 45mm diameter. This makes it a larger watch that’s ideal for people who like oversized timepieces. 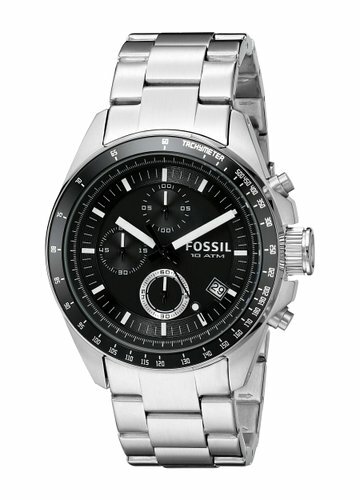 The Fossil Machine chronograph also has a date display on the dial, along with the high visibility hands. The watch is powered by a Japanese quartz and has a 50m water resistance rating. This is a variation of the previous watch, it’s also a Fossil Machine chronograph and just had a few differences in colour and strap. This model has a black Ion-plated stainless steel casing design with a black comfortable rubber strap. I like the blue detailing on the chronograph function as well as the chunky side buttons. As with the other Machine edition it has a 50m water resistance rating and runs on a Japanese quartz movement. The next Fossil watch is a bit different. I absolutely love the dial design on this timepiece with all the intricate detailing with the sub dials and movement on show. The watch is powered by a Japanese analogue quartz movement and has a 05m water resistance rating. I particularly like the PVD rose gold detailing on this timepiece. 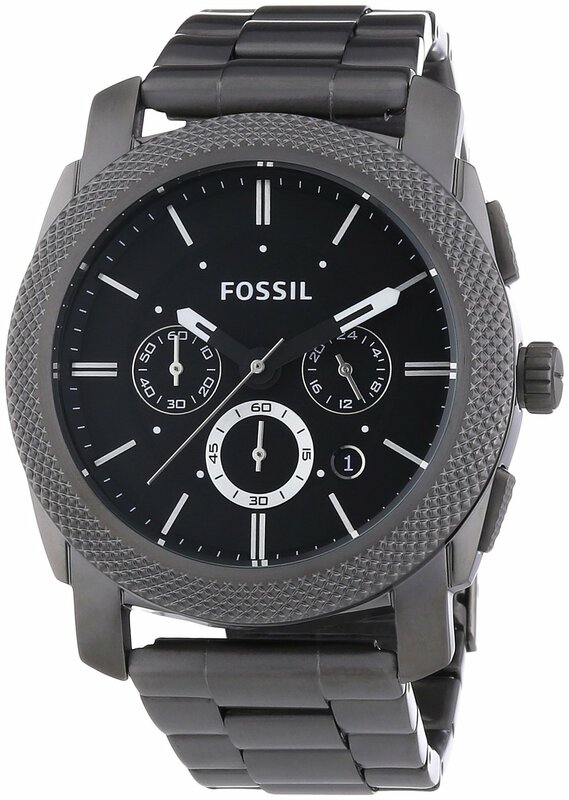 This next Fossil men’s watch has a nice easy to read clear dial. I like the layout of the two chronograph sub dials on this watch. The watch has a nice genuine leather strap that’s soft and also offers extra comfort. The watch has a polished and brushed stainless steel finish and is powered by Japanese quartz movement. The last watch I’m featuring is the Fossil Decker. 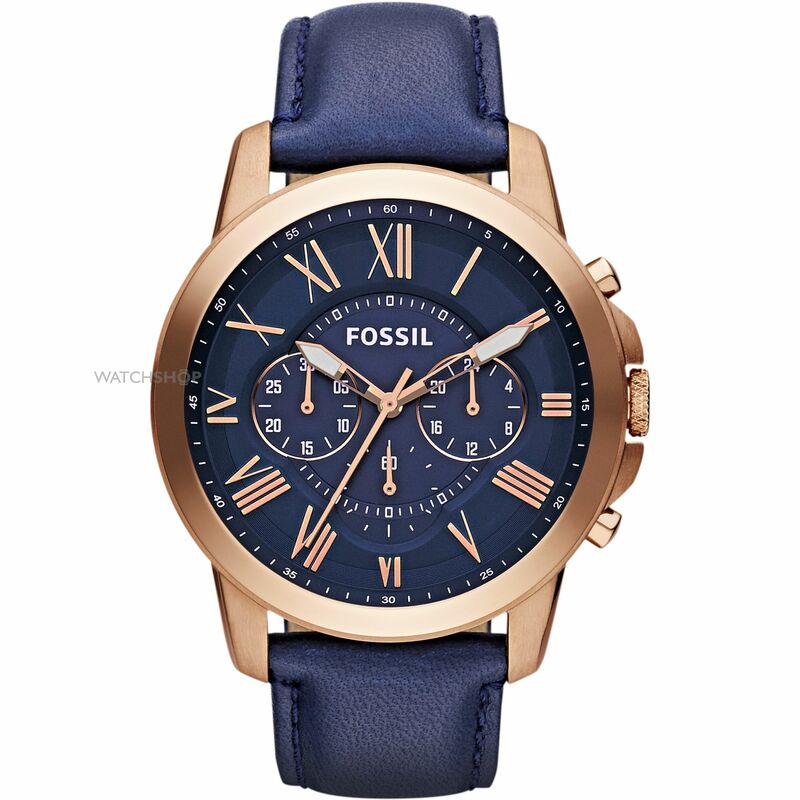 This Fossil chronograph watch is very popular for its stylish finish and high-visibility baton hour markers and watch hands. A lot of people are fans of the sturdy rubber strap that gives you some extra durability compared to other standard straps. 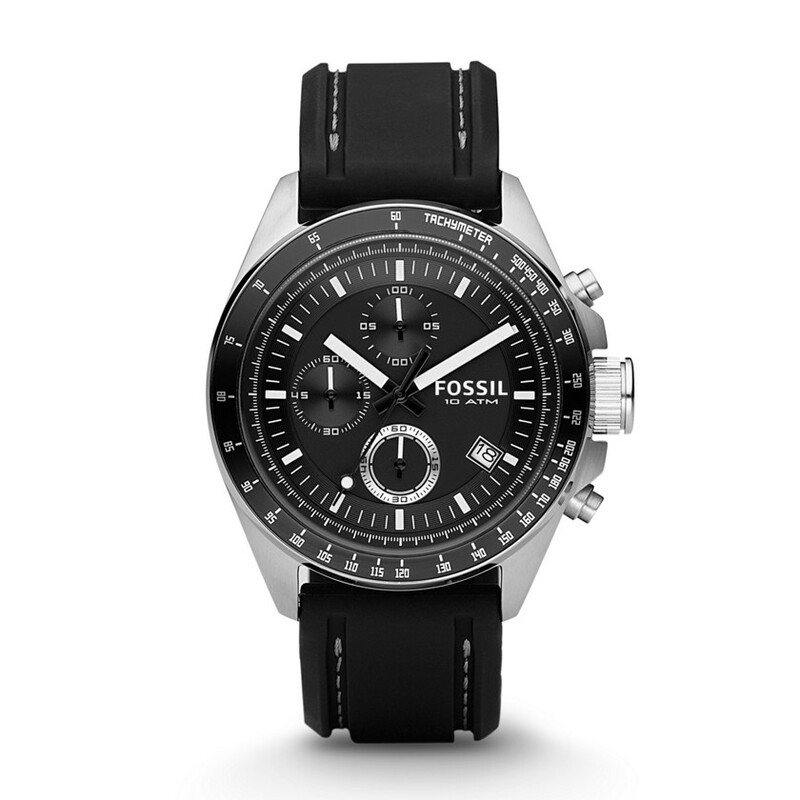 As with the other Fossil watches it runs on a quartz movement and has a 100m water resistance rating. Well thanks for reading all the way through, hope you found this list helpful. What’s your favourite then? Comment below or come along and join the discussion on social media with us! Invicta 8932 Watch Review – The Unisex Pro Diver – Is it any good? 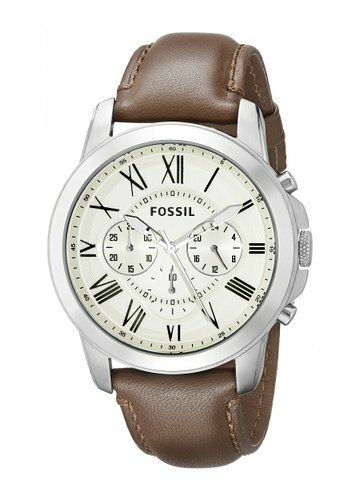 As a brand, are fossil watches good? 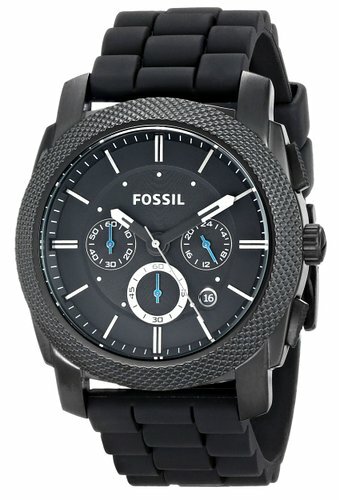 I’ve been looking for the best Fossil watches and have been considering the likes of the Fossil JR1494 and the Fossil JR1401. Would either of these be a sensible choice?